United States Attorney Andrew M. Luger today announced the sentencing of TOMMY MICHAEL SPACK, 32, to eight years in prison for illegally possessing a firearm after having been previously convicted of multiple felonies in both Ramsey and Washington Counties. SPACK was indicted on February 3, 2014. 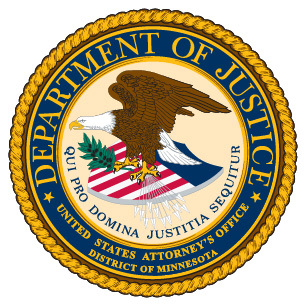 The defendant pleaded guilty on May 8, 2014, and was sentenced today before Judge Ann D. Montgomery in U.S. District Court in Minneapolis, Minn. According to the defendant’s guilty plea and documents filed in court, on December 14, 2013, SPACK was driving a car when St. Paul Police Officers pulled him over at the intersection of Van Dyke Street and Stillwater Avenue East, in St. Paul, Minn. Officers searched the vehicle and recovered a Charter Arms Police Undercover .38 special revolver and a small bag containing methamphetamine. According to his guilty plea and documents filed in court, SPACK later admitted that both the gun and drugs were his. Based on his criminal history, including convictions for eight felonies prior to December 14, 2013, it was illegal for SPACK to possess a firearm. SPACK’S criminal history includes convictions in Ramsey County for terroristic threats, receiving stolen property, attempted burglary, theft, and possession of illegal drugs. SPACK was previously convicted in Washington County for burglary and receiving stolen property. This case is the result of an investigation conducted by the St. Paul Police Department and the Bureau of Alcohol, Tobacco, Firearms, and Explosives. Assistant U.S. Attorney Surya Saxena prosecuted the case.